Mexican broadcaster Televisa has launched an SVoD service, Blim, which will go head-to-head with Netflix in Latin America. The service debuted yesterday with exclusive, first-run programming such as James Bond movie Spectre and US series such as Wayward Pines. 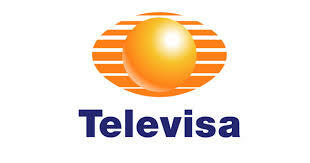 It will also include a large volume of Televisa library programming. The plan is to create original shows in a bid to make a mark on a Mexican SVoD space that’s currently led by Netflix and ClaroVideo, which is part of telecoms company America Movil. Netflix has about eight million subscribers in Latin America, though this number is likely to grow following the US-based firm’s move to launch in 130 territories worldwide. “This is a new way to distribute our content through an on-demand platform for a monthly subscription,” said Televisa’s president of television and content, José Bastón. Carlos Sandoval, who has run Televisa’s OTT effort VEO, will run Blim as general director.